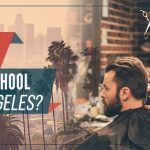 Cosmetology is defined as “the professional skill or practice of beautifying the face, hair, and skin,” and this could be what defines you when you enter the American Beauty College Cosmetology and Barbering training program in West Covina. Their program covers all the key fundamentals you will require for becoming a State Board Certified Cosmetologist or Barber. 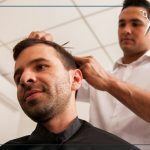 With their unique transfer of credits from one program of instruction to another; Cosmetology to Barber, you could be certified in as little as four months. Who is the American Beauty College? The American Beauty College, located in West Covina, has been offering comprehensive, quality education for over 40 years. They know the skills you’ll need to attain that competitive edge that will keep your name and future business on the top. They closely follow all of the new beauty products, styles, fashions and looks that constantly change in the beauty industry. Staying on top and in step with all new fashion trends keeps their education skills top in the beauty educational industry. Third largest industry in the world, the beauty industry is always looking for newly licensed professionals in barbering, cosmetology, make-up artists, manicurists, and aesthetician. The American Beauty College offers you the chance to enter this field with top-rated skills. They are the authority in the field of cosmetology and barbering and are committed to training you to have the skills you will need to be the top in your field. 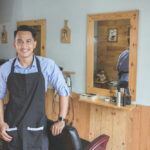 * All barbering procedures, methods in men’s hair-cutting, the straight razor shave, equipment needed, techniques, materials, products, and supplies needed to prepare and comply with the State Board rules. * They will give you the knowledge you need and show you how to retain it. From the knowledge you gain, you will be taught how to think and apply it. They will instill in you the need to continue your learning in all areas related to the barbering and beauty industry. * This is a significant learning experience that will stay with you personally and professionally. The American Beauty College in West Covina also offers a Transfer of Credits from one program of instruction to another; Barber to Cosmetology. * Barbering procedures, techniques, and methods of applications. The American Beauty College is a pioneer in the beauty industry and has what you need to become successful in barbering and cosmetology. Visit American Beauty College LA website today and find out how to contact them and begin your enrollment to your future, or book a tour of their facilities in West Covina to see for yourself what awaits you.